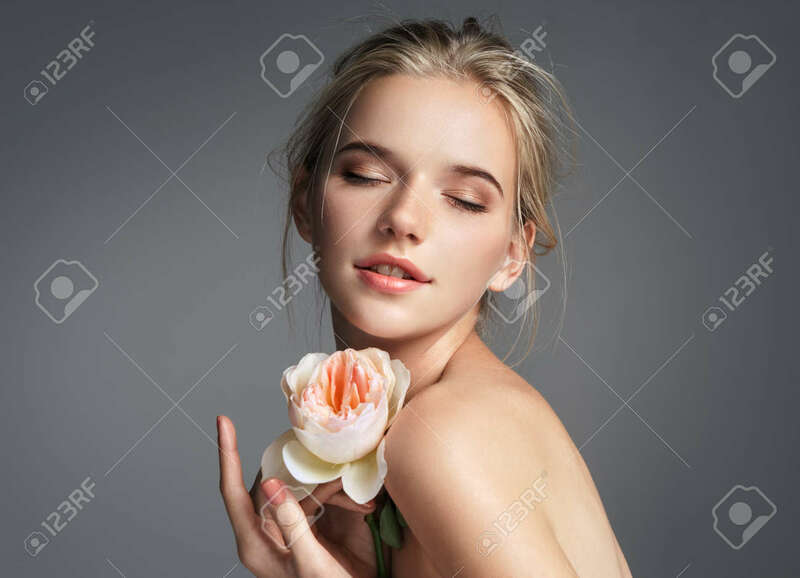 Beautiful Girl With Closed Eyes On Grey Background. Beauty &.. Stock Photo, Picture And Royalty Free Image. Image 91242323.